Welcome to Episode #36 of the Kibbe and Finnegan show! If you’re new to the show, Mike Finnegan and I have taken our Dukes of Hazzard fandom and turned it into a full fledged automotive podcast Gong Show of sorts, completed with a full episode review from The Dukes of Hazzard. It’s every 40-year-old’s dream, right? 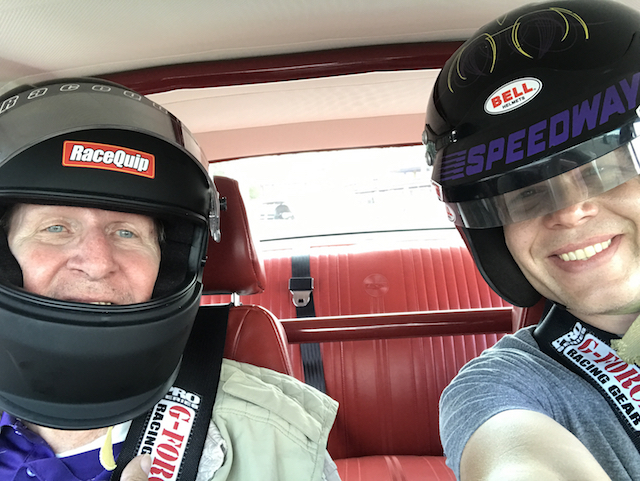 Rob and Dad (Dallas) at the 207 Good Guys Autocross. So…we’re in between Dukes of Hazzard seasons and decided to throw in another movie review to take a brief Dukes of Hazzard break. Finnegan suggested (more like insisted) that it be Megaforce, the 1982 epic movie that Hal Needham directed and starred in. Here’s the good news: the movie has lots of crazy vehicles, a few funny lines, and stars Edward Mulhare who would go on to play “Devon Miles” from Knight Rider. Here’s the bad news: there’s really no other good news of note. 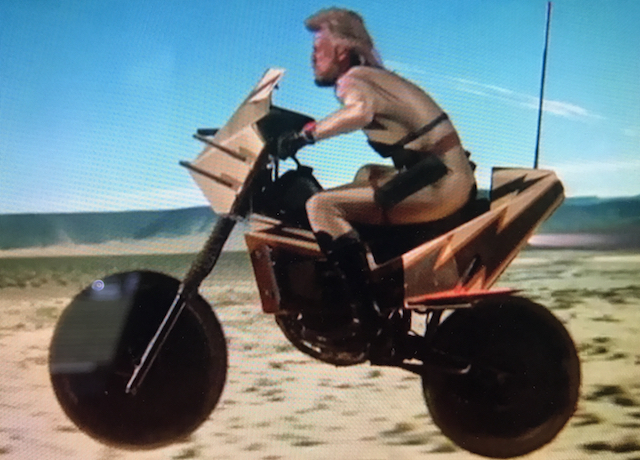 The movie ends with a flying motorcycle on a green screen, and Barry Bostick wears a spandex (or lycra?) suit with no regards for underwear. Finnegan gives it 8 lazer-guided corndogs. Kibbe gives is a generous 3. Hijinks Ensue. -The character “Dallas” is played by actor Michael Beck. I’ve never heard of him before or since, but he starred with Olivia Newton John in the movie Xanadu..that I have never seen ever. -The woman Army General is played by Persis Khambatta – who, I think we all recognize – CLEARLY – as the Deltan alien named Ilea that served on the newly commissioned Starship Enterprise in the 1979 movie, Star Trek the Motion Picture. In that movie – she was killed by an alien technology from Space called V-Ger, and the digitized into it’s memory banks, and brought back to the Enterprise as a machine to interact with the crew. Later she merged with the first officer to help V-Ger complete it’s mission of transmit all of it’s data to it’s creator – in this case, mankind, because V-Ger….was actually a 300 year old Space probe sent out by NASA in the 1970’s called Voyager 6. It got trapped in a black hole somewhere, kept collecting data, and became sentient. -The Englishman General is played by Edward Mulhare, best known to us as Devon Miles, the leader of the Foundation for Law and Government in Knight Rider. -This is a terrible, horrible, movie. But the more I watched it, the more the humor started to crack me up. -Toggle switches are used heavily in this movie. Need a light? Toggle switch. Arm a missle? Toggle switch. Etc., etc. -Dallas – the right hand man – has a confederate flag patch on his arm. The others have a U.S. flag on their arms. -The airplane they jump out of to do their parachuting ballet is a Douglas DC-3. A taildragger twin radial engine cargo plane that was a workhorse for 50 years, and a lot of places use now with mods to put on turboprops. Great for hauling cargo into the bush. -The sound effects they use for the C-130 Hercules are for radial engines. They sound cool. Unfortunately, 130’s are turboprops and sound nothing like that. 1. 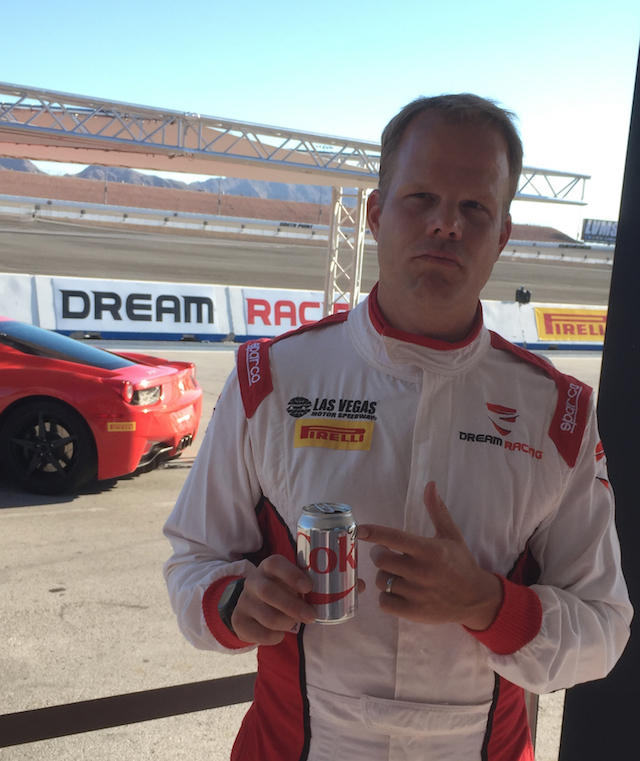 Get Diet Coke to Sponsor us….or just Kibbe. 2. Be characters in the Disney/Pixar movie, Cars 3. Finnegan is the General. Kibbe…is wishing he was the General. FAILED. We’ll have to try for Cars 4. 4. Get John Schneider himself on the show with us. Pray to God he actually likes us and isn’t freaked out. 7. We each get a General Lee (real car – not a toy).